I thought I would hate his movie…that it would be the worst one since; well….most of the others but it actually turned out alright, thanks to one dude – Screaming Mad George. When I saw his name pop in the opening credits it brought the biggest smile to my face…this man knows effects. I mean have you seen Society? His involvement meant that there would surely be some part of the movie that I enjoyed…turned out there was a lot more! 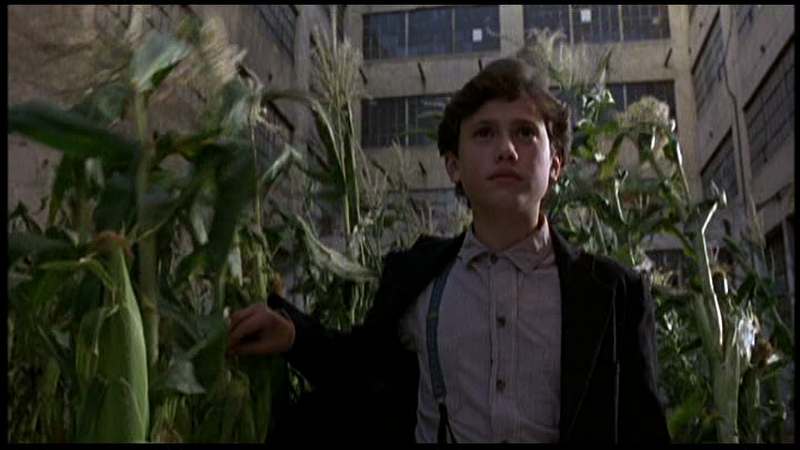 So Children of the Corn 3: Urban Harvest begins with the death of Eli & Joshua’s father. He dies at the hands of He Who Walks Behind the Rows who Eli has summoned to stop him abusing Joshua. It’s nasty! The 2 kids are taken into foster care by a nice couple, William & Amanda who live in modern Chicago. For 2 boys growing up in the middle of no-where the urban (see?) landscape is hard to adjust too. Joshua is more willing to adapt while Eli’s faith in his god causes problems from the outset. His crazy praying, suitcase of corn & Amish demeanour are just marked up to ‘adjustment issues’. Eli finds an abandoned factory nearby where he plants corn that instantly sprouts into a lush cornfield (easy as that!). It is here he can commune with He Who Walks Behind The Rows & disgusted with the way of life of the Chicago inhabitants sets about bringing the God here. 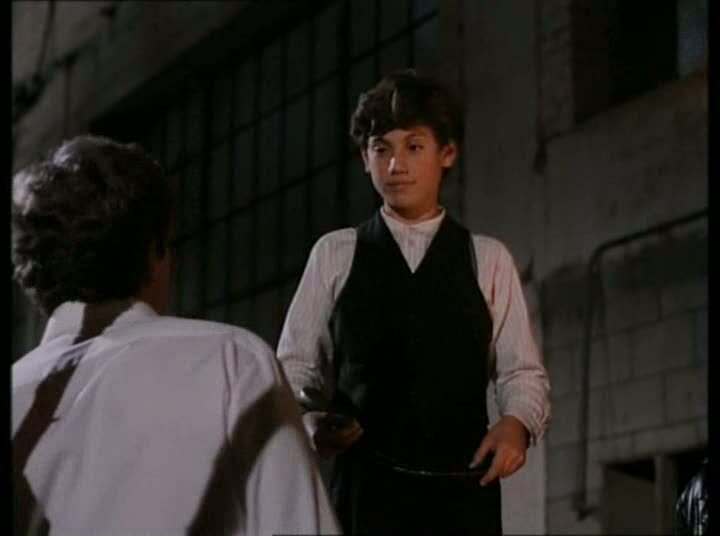 Anyone who stands in Eli’s way is taken out (often in elaborate & lengthy scenes) & when Joshua abandons him for a modern way of life he sets about recruiting kids from the school to help him in his plan. 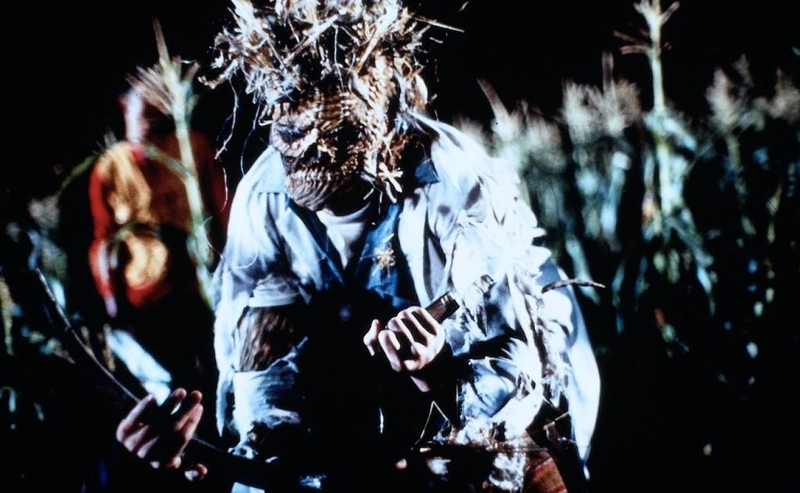 Eli’s plan does eventually fail but not before we get treated to a massive tentacle version of He Who Walks Behind The Rows killing lots of kids in gory fashion….thanks Screaming Mad George! A lot of people don’t enjoy the ending because it takes all the suspense & intrigue of the movie & throws it out the window for a massive bloodbath. Those people are really over-stating the quality of the suspense & intrigue in this movie. Sure, the actor who plays Eli is pretty creepy & manages to convey threat without doing much but that is it. As always the connection to the first 2 Children of the Corn movies is slim. We have Gatlin, we have corn & we have He Who Walks Behind The Rows. It’s got a lot more connections then later movies would, mind you. Almost everything that is worth enjoying in Urban Harvest comes with blood & there is plenty of it to enjoy. The deaths are a mix of pure entertainment & a few attempts to gross you out. The film isn’t scared to take chances such as killing off a seemingly important character before the movie is half over. 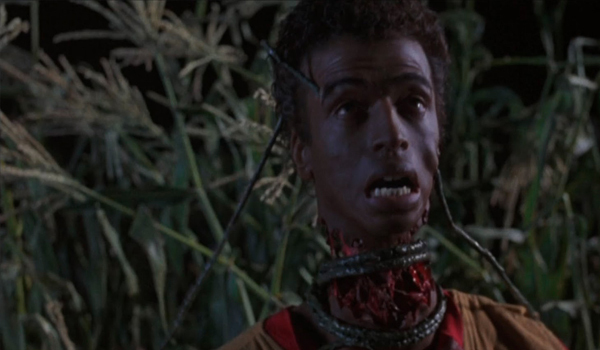 One of the better Children of the Corn movies but with the same flaws that also plague most of them. A decent story that loses its way at the end even if it is extremely entertaining (as well as a sequel-baiting final scene that doesn’t go anywhere in COTC 4). 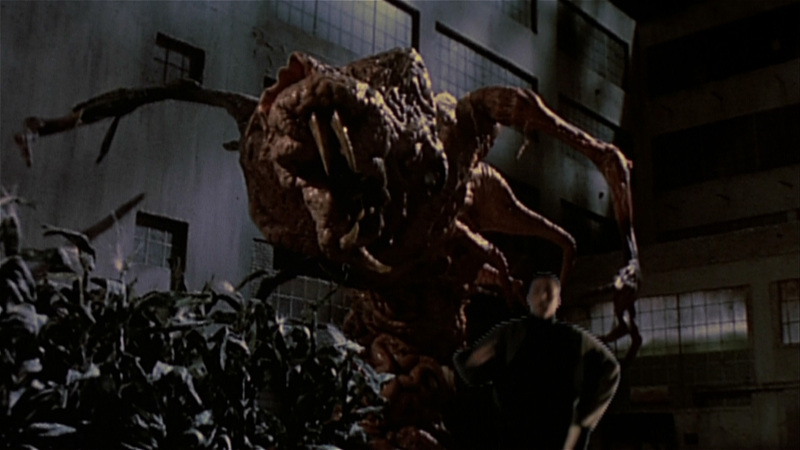 The movies strengths lie in its effects & gore, just sit back & enjoy the carnage.